The basic 'cleanse, tone and moisturise' is old news in Korea. The country is famed for innovating all kinds of new skincare products, so even if you’re daunted by the prospect of the whole 10 steps, you may find it useful to add a product or two to your go-to routine. Cleansing with two different products at night is a must when it comes to Korean skincare. An oil-based cleanser is used first on dry skin. When water is added to this, it emulsifies to completely melt off make-up. Afterwards, a water-based cleanser is applied with cotton pads to remove any remaining impurities. Essences are sort of a combination between serum and toner. They provide light hydration but their main function is anti-ageing – they’re really great at stimulating cell renewal to keep your skin looking fresh and youthful. That’s why they’re used twice daily. Sheet masks are my personal favourite when it comes to Korean skincare – not only do they give you an excuse to chill for twenty minutes, but they’re super nourishing and contain all sorts of natural extracts, from pomegranate to honey. They’re used twice a week to give skin a glow boost. 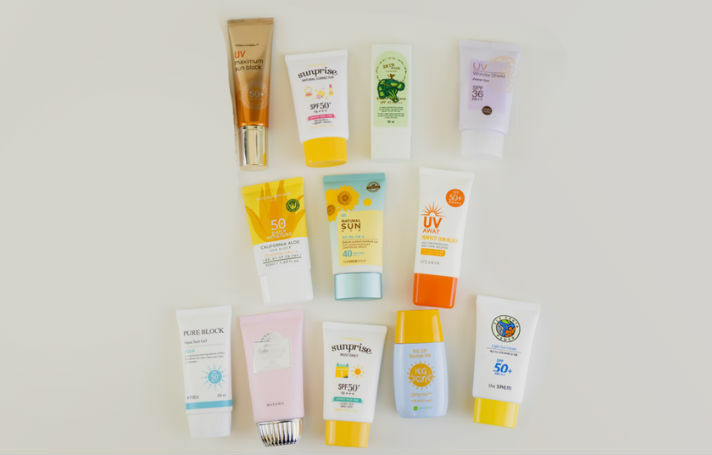 Although sun creams aren’t unique to Korea, they do feature much more consistently in Korean skincare routines. UV rays can affect your skin even when it seems grim and cloudy outside, so sun creams are used at the end of every morning routine regardless of the season. The same goes for eye creams.